If you want to build a marketing funnel or membership site, you’ll want to use the best tools for building landing and sales pages. Two of the best funnel-building tools are Clickfunnels and OptimizePress. Although they each have their strengths and weaknesses, what really matters is which one is a great fit for what you want to accomplish. After reading this post, you’ll have a good understanding of which one you should use to get the best result. What are Landing Pages and Sales Funnels? A landing page is created for lead generation and sales. It’s the best way to capture cold traffic and convert to leads or buyers. Typically stand-alone pages, landing pages are created for the purpose of capturing leads and selling products. You collect a user’s contact information like name and email in exchange for more information or a free download. Landing pages are part of a sales funnel. A sales funnel is a process of connecting multiple pages that captures the attention of users and moves them through an automated process to convert them from browsers into buyers. Clickfunnels and OptimizePress both include landing page creators which are part of the sales funnel. OptimizePress is a user-friendly web-based tool to create high converting landing pages, sales pages and membership portals. If your goal is to convert visitors into leads, customers or members, then OptimizePress may be a great solution! OptimizePress is designed to work with WordPress software (self-hosted). It does not run on the WordPress.com blogging platform. This is a major difference between OptimizePress and ClickFunnels, which is a standalone tool that does not require WordPress.org. You can install Optmize Press as a WordPress theme or install it as a plugin. If you love your WordPress theme (I love mine!) you don’t need to change. Just install the plugin. 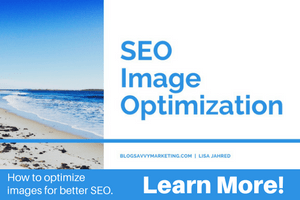 If you are a blogger, affiliate marketers, copywriter, web designer or other content creator you’ll find OptimizePress to have a variety of appealing options. With over 30 customizable templates, you are sure to find one that fits your needs. The templates can be customized for your brand too! You’ll also have access to over 40 custom elements that include buttons, feature boxes and more. As you know, mobile-friendly pages are crucial with Google’s latest mobile-first indexing. The good news is that you get responsive pages with OptimizePress and it’s automatic. One less thing for you to worry about! It also uses a drag and drop interface for many elements and functions. Drag and drop makes it easy to learn for anyone. No big learning curve! The live editor is a cool feature. Usually when you make changes you have to publish or update to see them live. With OptimizePress, when you make a change, that’s it. You need not do anything more. The downside of this feature is having the ability to update your landing pages without users seeing it until you are satisfied with the result. OptimizePress is a good option for you if you need to create landing pages. Although you can connect your landing pages into a sales funnel, you’ll need to use other analytics tools to keep track. OptimizePress pricing is very affordable. You can get access to OptimizePress for a one-time fee at three package levels depending on your needs. 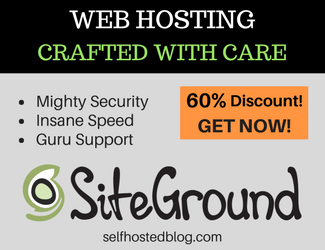 Core – $97 (use on 3 sites) Your best option if you are just starting out. For a one-time cost, you get a lot with OptimizePress at a very reasonable price. After reading Expert Secrets, I was a changed online marketer! Russell introduced me to some powerful concepts that I’ve come to adopt into my marketing strategies. Much more than just landing pages, Click Funnels is a powerful suite of tools that are ideal if you really want to sell online. There are hundreds of other funnels aimed at specific industries that are created by members and shared publically. Really, you can create just about any type of funnel you need! You can create sales funnels for just about any business! If you want to create a funnel to capture leads, sell products, offer product upsells, offer free incentives, or memberships, then ClickFunnels is for you! As a web-based tool, you don’t need WordPress to use ClickFunnels. You get everything you need to set up your funnel, including a huge support group on Facebook with over 100,000 users. Although there is a learning curve (like anything else that’s incredible! ), you can get your funnel pages set up yourself. I like that ClickFunnels enables you to completely automate the process with auto-responders that help nurture your subscribers. Another plus is the ability to do A/B testing for all pages in your funnel. That’s important so you know what is getting the best results. It’s a robust sales funnel software that you can make changes to at any time based on past performance. ClickFunnels integrates with a number of other tools like Stripe, Paypal, Clickbank, Infusionsoft and Authorize.net so you can accept payments through your funnels. You don’t need to use third party tool to review your metrics. ClickFunnels provides your metric and analytics, conversions and more to help you know what’s working and what is not. You can get started with a 14-day FREE trial to see if it’s a good fit for you. Yes, when you sign up as an affiliate, you get so much more. You’ll get access to Russell’s $997 training course for FREE. He wants you to learn how to do affiliate marketing the right way especially if you decide to be a ClickFunnels affiliate! Their 2-tier affiliate program enables you to refer people to the ClickFunnels affiliate program. How does 5% commission sound for any sales from people who sign up under you? I hope you found this ClickFunnels vs OptimizePress post helpful. Both are powerful ways to create marketing sales funnels to build your business online. Your own needs will determine which one you use. If you just need landing pages and are looking for a one-time fee, then OptimizePress may be the perfect fit for you. They have a 30-day money back so you have nothing to lose except the time you put into it. Give OptimizePress a try and start building landing pages and sales funnels today with drag and drop ease! If you need a tool more than landing pages then take a look a ClickFunnels. You can create some amazing funnels to turn your visitors into leads and buyers with more in-depth funnels. Give ClickFunnels a try with their FREE 14-day Trial and start building your funnel today! This is great information. I was just searching on how to make a landing page and this article has happened at the right time!